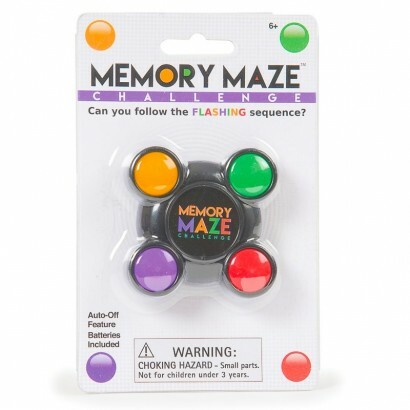 Pitch yourself against the Memory Maze challenge and see if you can follow the flashing sequence to the very end! 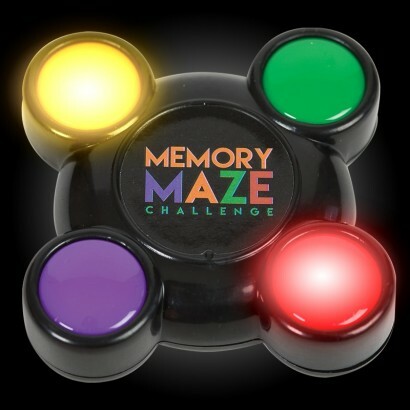 Follow the ever increasing random sequence of flashing lights to test your memory, and compete against friends and family to see who's king of the maze! 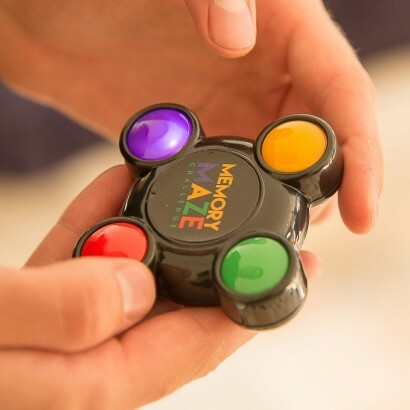 Pocket sized fun, this mini brain teaser is perfect for competitive types of all ages. Follow 15 steps correctly to win!